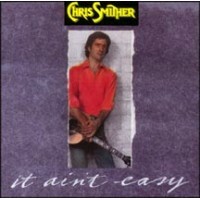 AMG EXPERT REVIEW: Following two releases for Poppy Records in the early '70s, as well as a third recording that never saw the light of day, Chris Smither finally returned in 1984 with It Ain't Easy. Armed simply with guitar and voice, Smither delivers a dozen tunes (14 on the CD reissue) that embody the best tradition of blues and folk. Whether it's his originals, a standard like "Glory of Love," or material by the likes of Randy Newman, Chuck Berry, Mississippi John Hurt, and Howlin' Wolf, Smither infuses every track with the same timeless quality. Though he may, on occasion, choose rather standard folk, blues, and rock & roll fare ("Green Rocky Road," "Sittin' on Top of the World," "Maybelline") Smither never treats the songs as if they were museum pieces. In his hands, they're given a life and vitality they probably haven't seen in years.